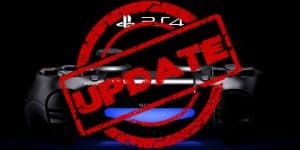 PS4 Update Comes Out Tomorrow | Nerd Much? If you’re playing a game in PS VR and you return to the PS4 home screen, you may notice that the resolution looks lower than normal on the TV Social Screen. Following this update, you’ll find that the resolution of the system screen displayed on your TV is significantly better when you’re out of VR mode. Also, the resolution of Cinematic Mode on PS VR will improve — if your PS VR screen size is set to Small or Medium, the frame rate of content viewed in Cinematic Mode goes up from 90Hz to 120Hz with this update. We’re adding voice chat when using Remote Play on Windows PC, Mac or an Xperia device. This is especially useful if you’ve got a gaming session planned with your friends, but you’re away from your system. You can switch your mic on and off via the microphone icon on the Tool Bar of the Remote Play app. We have a variety of off-console apps and features that make communication with other gamers easier, like the PlayStation App and PS Messages. We’re adding an icon, shaped like a smartphone, which indicates a player is logged into PSN but away from their system. This can provide a noticeable frame rate boost to some games with variable frame rates, and can provide frame rate stability for games that are programmed to run at 30 Hz or 60 Hz. Depending on the game, the increased CPU speed may also result in shorter load times. You can turn on Boost Mode by going to Settings > System. Keep in mind that Boost Mode is not guaranteed to work with all titles. Turning the setting off will allow the game to be played in a mode that replicates the standard PS4. We’re also updating the PS Messages (Android/iOS) and PS Communities (Android/iOS) apps tomorrow with a few handy features. Personally, I am all for these gimmicky apps that notify me on my phone when I’m not playing. If nothing else, because it’s that much harder to participate in the communities when you have to use the PS4 on-screen keyboard to post. What do you think of these updates? What are you most looking forward to? Let us know in the comments below!